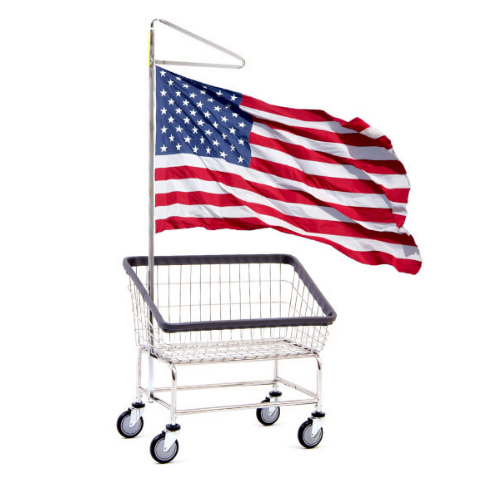 Medium Duty Hamper Stand comes with 7/8-inch tubular construction. An ABS high impact plastic lid comes standard with each model. Designed as a hospital laundry hamper, this hamper stand assembles easily in minutes and is useful for clinical care, nursing home applications and homecare. A bag lock holds liners in place. Four caster wheels allow the Medium Duty Hamper Stand to be easily moved to another location and then locked into place with two of the caster wheels which are lockable. Manufactured by R&B Wire, each medical laundry hamper has an attractive chrome finish. R&B Wire products are manufactured in the USA. 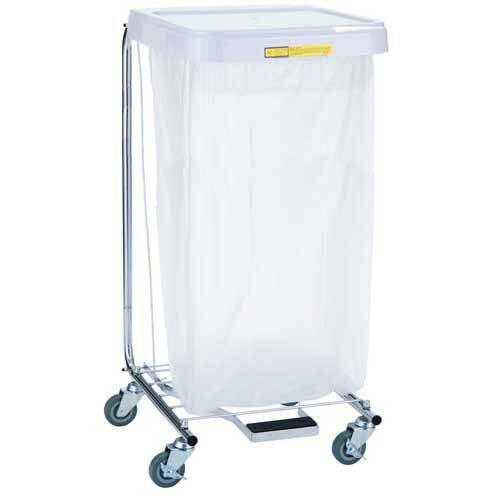 Vitality Medical carries the top selling R&B Wire products including the Bulk Laundry Transport Truck, Economy Linen Hamper Stand, Hospital Laundry Carts, and Hospital Privacy Screens. Foot pedal activated lid for easier handling. 3 inch quiet-ride casters ensure smooth quiet rolling (two locking casters). Material: 7/8 inch tubular steel with chrome finish. Four 3 inch caster wheels, two locking casters.